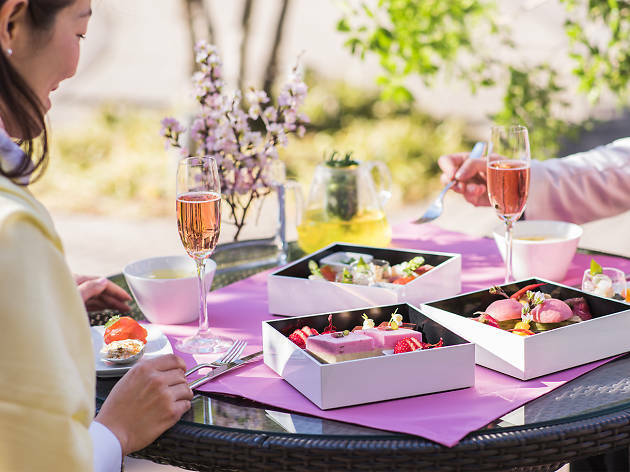 The Marriott at Gotenyama invites you to taste sakura sweets in the stylish surrounds of the hotel's Lounge & Dining G, which boasts enviable views of the Japanese garden nearby. 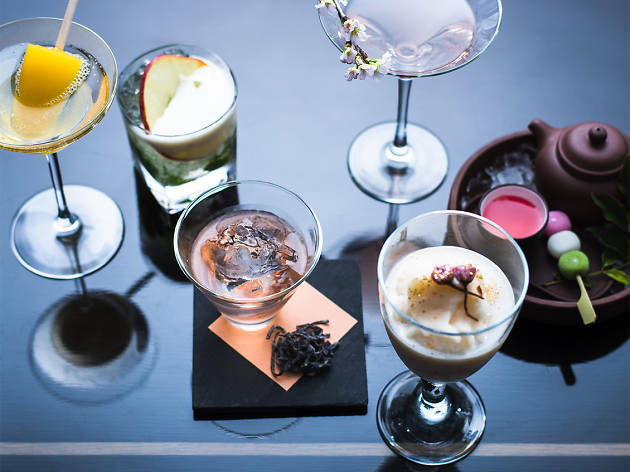 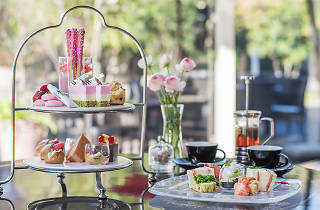 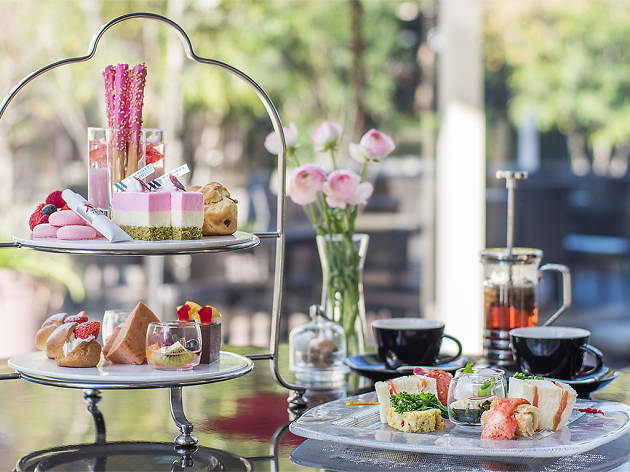 This urban oasis has been popular as a hanami spot since the Edo era, and retains a refined vibe that should match nicely with the selection of cherry blossom treats offered as part of the Marriott's spring afternoon tea serving (¥3,600). 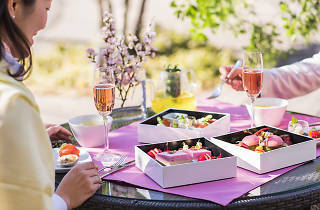 Alternatively, you can take a seat on the open-air Sakura Terrace, where special hanami boxes (¥3,900) and pink bubbly are available to groups of two or more. 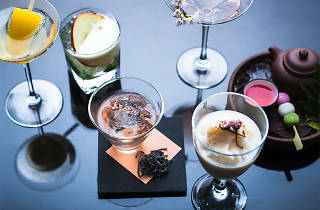 As seems to be the custom among Tokyo's 'international' hotels, the exact details for all this fun are only provided in Japanese – here.